The BJP on Monday said it would find a permanent political solution to the pending issues in the Darjeeling Hills, Siliguri, Terai and Dooars and recognise 11 Indian Gorkha sub communities as Scheduled Tribes but made no mention of a separate Gorkhaland state. 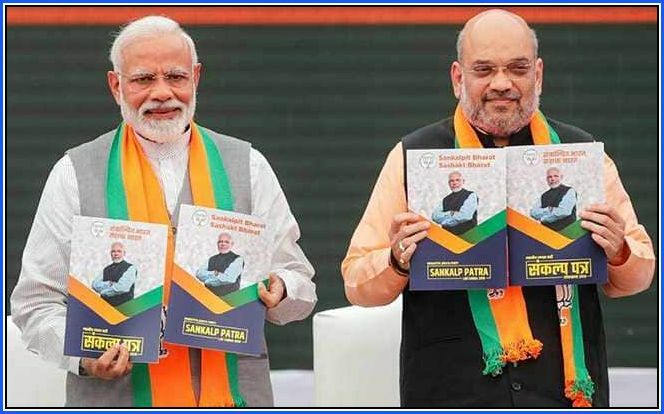 Incidentally, the BJP is eyeing its third consecutive victory in the high-profile Darjeeling Lok Sabha constituency that has witnessed violent struggle and a record 104-day shutdown led by the Gorkha Janmukti Morcha (GJM) in 2017 to push its demand for Gorkhaland. “We will recognize the 11 Indian Gorkha sub-tribes that were left out, as scheduled tribes (ST). We are committed to finding a permanent political solution to the outstanding issues,” read the BJP’s manifesto. Under Atal Bihari Vajpayee’s Prime Ministership, five sub-communities of the Gorkhas were declared STs, two of whom (Limbus and Tamangs) were categorised in 2002. On Monday, political parties of Darjeeling hills and pan-India Gorkha organizations including the Gorkha Janmukti Morcha (Bimal Gurung faction), Gorkha National Liberation Front (GNLF), Communist Party of Revolutionary Marxists (CPRM) and All India Gorkha League (AIGL) have welcomed the announcement. The National Gorkhaland Committee (NGC) and Bharatiya Gorkha Parisangh (BGP), too, hailed it. However, the GJM (Binay Tamang faction), Trinamool Congress (TMC) and the Communist Party of India (Marxist) , slammed the manifesto saying the BJP is trying to mislead the Gorkhas. The GJM (Gurung faction), GNLF, CPRM, AIGL, NGF and BGP all are supporting the BJP in Darjeeling. The GJM (Tamang faction) is supporting the TMC. “We are thankful to our NDA alliance partner, the BJP, for giving a separate platform to the the Gorkha community to address our issues. BJP’s acknowledgement and commitment to finding a permanent political solution to our decades-long demand is also very significant, especially from the national security perspective,” said Roshan Giri, the general secretary of the GJM (Gurung faction). Both Ajay Edward, senior GNLF leader, and Govind Chettri, senior CPRM leader, said that the BJP has honoured the Gorkhas by showing its commitment to find a permanent political solution. However, Keshav Raj Pokhrel, leader of the GJM (Tamang faction), said, “The BJP manifesto has not mentioned the long-pending aspiration of the Gorkhas, which is a separate state of Gorkhaland.” He also questioned why the BJP had not granted ST status to 11 Gorkha communities yet. Before the 2014 Lok Sabha elections, the BJP had promised to “sympathetically look into” the long-pending aspirations of the Gorkhas. Last month, the BJP announced the name of Raju Bista, entrepreneur and managing director of a private company, as its candidate from the Darjeeling Lok Sabha seat in West Bengal after sitting MP SS Ahluwalia said he did not want to contest from same constituency. In 2014, Ahluwalia had defeated Trinamool’s Bhaichung Bhutia by around two lakh votes in Darjeeling. On Sunday, the party named Ahluwalia as a candidate for the Burdwan-Durgapur Lok Sabha seat.